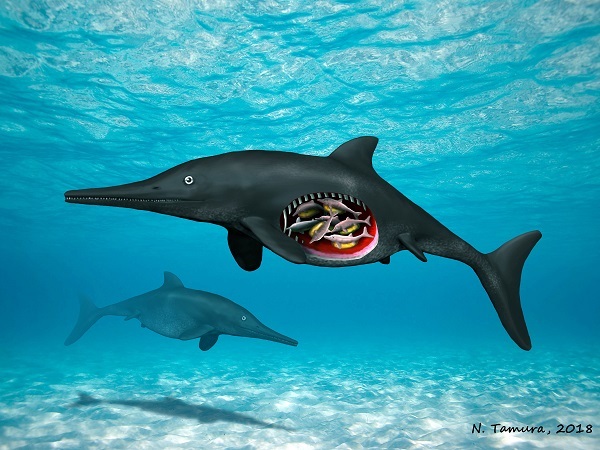 Ichthyosaur fossils are quite common in the UK and often found in British Jurassic rocks. However, only five ichthyosaur specimens from Britain have ever been found with embryos and none with this many. All five were collected from Jurassic exposures in the south-west of England and are between 200-190 million years old. This is the first to be found in Yorkshire. The new specimen is a star attraction in the new major exhibition, Yorkshire’s Jurassic World, which opened on March 24. The new study has been published today in the scientific journal, Proceedings of the Yorkshire Geological Society. Yorkshire’s Jurassic World explores the tropical seas, deep oceans and dinosaur country of the region we now call Yorkshire. The new permanent galleries were officially opened by Sir David Attenborough on March 23. Click here to find out more.